It doesn’t get any bigger than this in Bottom Feeders with 2Pac, U2 and Usher showing up to steal the show. I ain’t gonna say anything different than anyone else that knows the rap game. 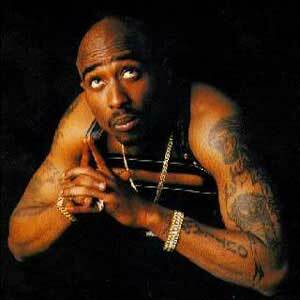 2Pac was clearly one of the best rappers ever and this isn’t just a revelation now that he’s dead. He always was, from his days in Digital Underground to his solo material. Personally, I think Biggie was the better rapper but it’s very close. Although none of these tunes here were his best, “Runnin’” is good but has too many guests on it. Biggie was one of them and that’s great, but no one really needed to hear from some dudes named Radio and Dramacydal. The video for “Temptations” features a ton of cameos from the big name rappers of the day, while “I Wonder If Heaven Got a Ghetto” doesn’t have any guest rappers on it and to me, any song with just 2Pac, rises above the rest. Jock Jams! Man, how unbelievable is it for these two to show up here, especially “Get Ready For This.” Granted, two years later it was re-released and charted higher but even then only at #38. That song was everywhere, all the time. It’s still played at pretty much every NBA game and this duo from the Netherlands is probably getting paid nicely for a simple three-minute instrumental. Tyrese is good – not great – at acting and singing. But when you look like Tyrese, you dip your foot in the pool of everything you can because you know women are going to eat it up. I never owned a Tyrese record but if the booklets didn’t simply contain 60 photos of him without his shirt on, then someone in marketing probably got fired. UB40 was never my thing but looking back, they are simply a great, happy, laid back band that you can get high and chill to. Personally, I think they had too many songs that sounded the same but they remind me of being in Jamaica, on sunny beaches with a drink in my hand all day long. And even sounding the same, that sound was pretty damn catchy. U-Krew was a harmless, fun group from Oregon that had only minor success on the charts. They likely had that New Edition, Bobby Brown button on their sleeves. Universal Nubian Voices reminded me a lot of All-4-One but a song like “So In Love with You” has a little Stevie Wonder in it too. This was a huge song thanks to Pulp Fiction of course but it was the #6 rock hit “Sister Havana” that we played at WTSR, constantly. I haven’t listened to it in ages, but 1993’s Saturation is a hell of a rock record. Man, it’s pretty crazy to go back this far and see Usher as a 16-year-old kid with these tracks. Only 2-3 years later he’d bust through big time. His self-titled debut had a ton of different producers on it, led by Puff Daddy and really, Usher is not Puffy’s type of artist. By 1997, Jermaine Dupri took over the production and the rest is history. 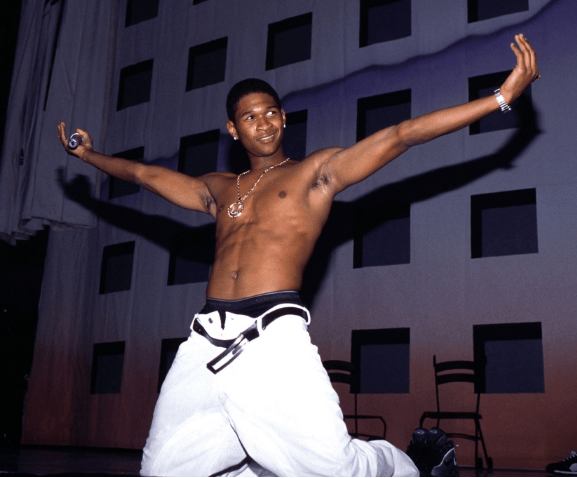 It’s hard to make a good career for yourself when you start out at 16 but Usher is the exception to that rule as he was Billboard’s #1 artist of the ‘00s and there doesn’t seem to be any stopping him even today. As of the 2010 Billboard bible, he was listed as the 28th biggest artist of all time. I wouldn’t be shocked to see him in the top 10 before his career is over. Nearly a true bottom feeder, I know the name Utah Saints but I’m unsure why. It wasn’t because of this song but they don’t seem to have any other hits. So I’m not sure how they came on my radar back in the ‘90s. 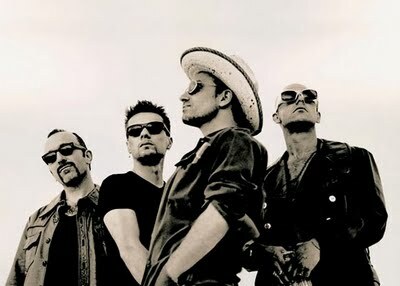 As we all know, U2 had just three studio records in the ‘90s, one of them possibly their greatest (Achtung Baby) and the other two (Zooropa, Pop) nothing short of um, different. “The Fly” was the first single from Achtung Baby and probably not the greatest choice to initially present the record. Island definitely seemed to understand that as they followed up with “Mysterious Ways” only a month later which set off a string of great tunes to hit the charts. I’m not a big fan of Zooropa but I actually think “Numb” is a great song. “Stay” is likely the best song on the album though, which is still good enough to be a solid U2 release. Pop is my least favorite album in the U2 cannon, the first and possibly only misstep in their career so far. “Last Night on Earth” is simply a dull song that I don’t think even fit in well on the album, let alone as a single. But this album did yield what is probably the most outrageous, over-the-top tour ever! “Sweetest Thing” is the best of the group here, from their Hits & B-Sides release in 1998. It was the B-side of “Where the Streets Have No Name” back in 1987. The video really makes the song though – with Bono (looking a bit like Elvis Costello) apologizing to his girlfriend in a bunch of crazy ways.